Even after having watched all the episodes to date, it surprised me to suddenly realize that we're already halfway through Healer's airing. For some reason this story feels so much farther from complete, and similarly my opinion remains unformed. I thoroughly enjoy many aspects of this show, including the secret identity, the intricate backstory, and the light-hearted yet ardent romance. Yet I can't deny that I'm still far from being in love with any of the characters, and many of the scenes (e.g., anything involving Moon Shik / Elder) bore me to tears. So this isn't either a rant or a rave, but something in between, much as I both love and dread viewing each new episode. I'll start with the aspects I really love. At the top of this list is unsurprisingly the Clark Kent-ish secret identity plot line, with bumbling Bong Soo and agoraphobic Jung Woo existing as two sides of the same character. It makes zero logical sense for Healer to be putting his face out in the open (of all the jobs, he's chosen reporting? ), but as a story-telling device the dual identity is magic. I'm not even that invested in the romance, but I still get swept up when we see Bong Soo having heart-to-hearts about his other identity with Young Shin, or when Young Shin completely ignores the hottie in front of her despite crushing on his alternate identity. The dramatic tension and possibilities in store for the big reveal are just drool-worthy, and while I'm frustrated by her lack of realization, I also know that once the reveal does come about, the romance won't have nearly the same zing. Let's just think back to City Hunter, where it felt like almost all of the romantic momentum fell off after she recognized him. The backstory has admittedly become a bit draggy at this point, but I'm still interested in learning the truth about what happened to this band of friends. This is an incredible group of veteran actors, who play out the inherent tragedy and mystery of their characters with such heft and raw ability that I'm completely swept into the tale of their doomed friendship. Moon Ho is similarly a rare amalgamation of aspects I both love and hate. On the one hand, he's such a complex, vulnerable yet powerful individual that he's magnetic to watch and try to comprehend. Yoo Ji Tae is doing a solid job and certainly earning his top actor status. Yet on the other hand, he's a horrible attempted romantic rival and his waffling between the two extremes of good and bad are frustrating and near impossible to understand at this stage. I'm predicting that he ends up using his knowledge of Healer's identity for bad rather than good, given the traditional fate of second leads as well as his oddly placed jealousy regarding Young Shin's interactions with Healer. One major qualm is that I have trouble taking any of his interactions with Young Shin seriously. I can see what the writer is aiming for, with a part-romantic-love, part-familial-love dynamic tinged with secrecy and a tragic backstory, but for me the end result is a huge miss. I find their scenes together to be shallow and generally a waste of time. Most of it just involves Young Shin staring at him like a puzzled deer-in-headlights, because he's either briskly lying or coming off as a creepy ahjusshi trying to hit on a younger subordinate (and often both). This is definitely a situation where I don't think the final reveal can come soon enough, because the not-there not-here hints mixed with lies he keeps throwing at her are confusing in terms of trying to understand what his character is after as well as disruptive to any attempts at building up their supposed dynamic together. I can sort of understand why he's not letting Myung Hee in on the secret, but wouldn't it be much easier and better to tell Young Shin the truth so that she can try to protect herself and so that they build up a genuine relationship rather than one based on lies? As I mentioned earlier, despite my love of the secret identity plot line, I'm not enamored with the romance. I find the situations hugely contrived and the whole Healer-love thing to be ridiculously fluffy, and certainly not substantial enough to warrant how seriously it's being played up (with all the tears, ballads, dramatic requests for meeting up). I can't by principle buy into the fact that Young Shin is somehow "in love" with a guy who's said three full sentences to her, whose face she's never seen, and who rather creepily decided to kiss her out of the blue (though yes, that was a gorgeous and sweet scene). I can understand lust or a sense of gratitude for him saving her, but it's definitely not love, and I'm not buying all the tears and drama of this psuedo-relationship. This frustration was made all too clear in episode 10, when we have patient, steadfast Bong Soo, a guy who she's actually had conversations with and who she clearly values, getting rejected because of her "feelings" for a mystery man. Young Shin is clearly an idealistic dreamer when it comes to her crush choices, and I suppose it works in a drama, but I kind of wish we could build out an arc when we can see her accept and recognize feelings for a seemingly ordinary guy around her. (Did Lois ever like Clark or only Superman? I can't remember). The entire Bong Soo - Healer situation is also a bit difficult to comprehend because it's uncertain where Bong Soo ends and Healer starts. 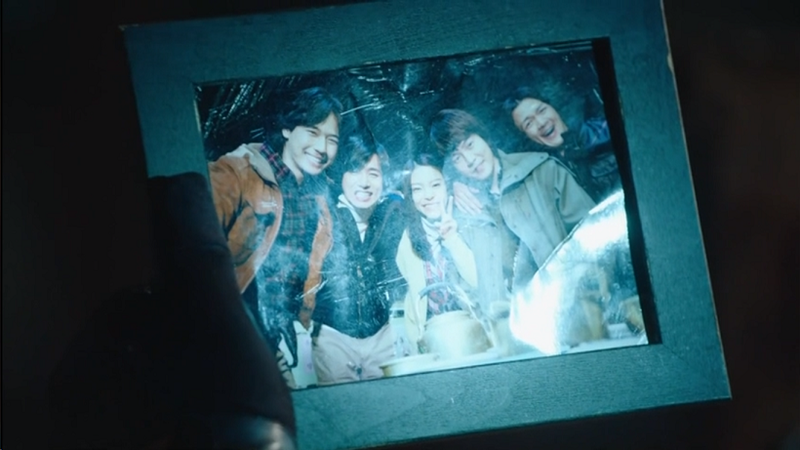 If Bong Soo is complete fiction, then his entire relationship with Young Shin feels false. If Bong Soo is at least partly true, then the fact that she doesn't like him at all romantically is also a big negative towards their relationship. Is Jung Hoo more like Healer, or more Bong Soo? I mean, who is Healer anyways besides a very serious guy who has athletic capabilities? I wish we could dig more into Jung Hoo and just try to get more of who this guy is, outside of the girl he's crushing on. To tell the truth, I only enjoy about 10 mins of each episode, with the rest feeling like dull filler inserted to push forward the plot or add on to the complications. Luckily I like those 10 mins enough to sit through the rest, but we'll have to see how this ratio evolves going forward. For now, I can at least confidently say the OST is top-notch, the romance is engaging (though frustratingly simplistic), and the story is moving, albeit very slowly. Worth a look at, but just shy of being a straight-up addicting watch for me at this stage. Hello. This is AKIA Talking from akiatalking.com. I like your review and introduced it on my own site. Here is a link to that news article! Please contact me if you want! Thanks for mentioning this review, and I'm glad you like it! Anyhow! I've also been watching Healer and while everybody is going nuts over it, I'm a little more subdued... and actually kind of bored with the show. There are a few things I like to share my thoughts on and I think this comment will be a little incoherent and all over the place. Sorry! It's at episode 14 now and I honestly think if people step back, stop squealing over JCW and analyse the show properly... I find that there's nothing much that has gone on so far. And I'm left feeling extremely confused as to how the plot will go and how the characters will develop. And my confusion isn't like an edge-of-the-seat dying to know what's happening kind of confusion, it's a bored type of confusion instead. There're only 6 episodes left, so I hope the writers make the most of it. Like you, I tend to find only 10-15 minutes of each episode worth watching and the rest to be a complete bore. I fast-forward quite abit and just stick to reading recaps here and there. The lovely thing to me about this show is Yoo Ji Tae. I have not warmed up to his character much; I'm actually extremely confused as to what his character's intentions are. But God, can the man act. His scene with JCW in the recent episode was just so good. I find myself fast-forwarding alot just his scenes. He's just fab. And I actually find myself secretly wishing he was the main lead in this drama. I initially started watching for JCW, cause well, I've heard so much about empress ki and the boy is rather goodlooking. But I find him slightly lacking the gravitas as well and sometimes just can't emotionally connect with whatever character he's playing at the moment. I feel that extra oomph in the emotions department is lacking with him to some extent. I also can't really get a feel of when he's Jungho/Healer/Bong Soo. Like; who exactly is Junghoo/Healer? I don't feel the depth of his character, I don't understand the motivations, the background story etc. I feel that the characters aren't clearly defined and I actually find myself not being able to connect with either character he plays half the time. PMY... sigh PMY. I've never liked her acting. Ever. And I don't like her as a celebrity either. When I saw she was casted in Healer, I just told myself I'd avoid watching it. I feel that this girl can't really act and tends to take on very similar roles in all the shows she acts in (except Dr Jin perhaps but that was so boring I stopped at ep 4). The candy type, bubbly girl who always needs some sort of man in her life to get things done. Granted she always tends to have well-written characters, but I feel that she doesn't ever own her character and there's so much potential to be had with each character but it falls flat with her. I dislike the way she talks, with very little emotion and like she's just reading off the script. She doesn't embody the character. Even with Young Shin. I seriously dislike YS. She's super ditzy, lame and I don't find her a least bit courageous, like what other reviewers are saying. In fact I find her "let's charge head first into this potentially dangerous situation and think of a Plan B later if anything happens personality" to be really stupid. If I were in Bong Soo's shoes and had a colleague like that I'd seriously hate her. Plus, I feel like her whole story is just pegged to her pining after Healer (for God knows what reason) and the reporter side of her was just a side-story to make her seem unique. Just like her tragic back-story, short hair, backpack, random rings and ear piercing. It doesn't feel like it's a part of her at all, all that just looks so separate from her as a person. I just can't connect with her and usually find her scenes quite annoying (though it could partly be due to my dislike of PMY in general). Onto the romance. Oh God, the romance. 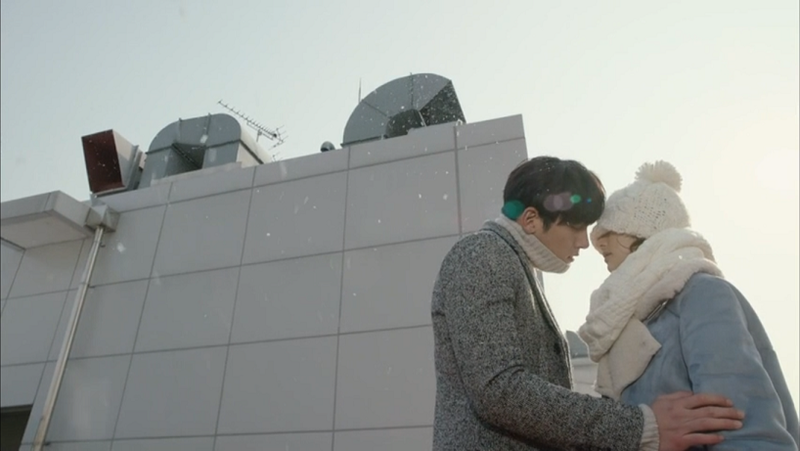 Why is it even necessary and why do YS and Healer even like each other?!?! I dislike how they weave romance into stories like this when the main plot is so much more interesting. I rather see more character development and more of Moon Ho and his intentions than their romance. Another reason is that I find their romance to be completely unrealistic. What, the guy spoke a few words to her, was rather menacing/sinister when they first met (toilet scene), she's never seen his face let alone develop any sort of normal human interaction with him, but she's SO IN LOVE with him? So much so that she went on a "date" alone with him in the movies, randomly let him grab her and hold her hand and kiss her. Seriously?!? Yes he saved her once or twice but I just don't see how all that fits and makes it into a great passionate love story. Comes across more like a crush or lust and if anything, it makes her seem even more superficial and ditzy than she already is. As for Healer... why is he even interested in her? 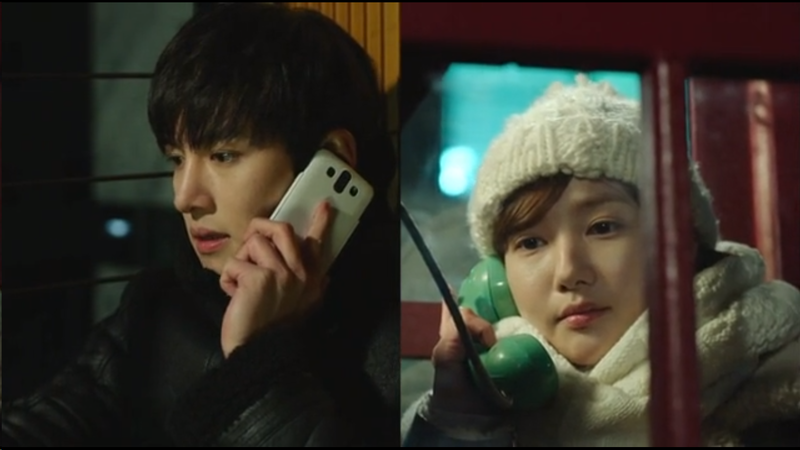 I think that she only piqued his interest when she randomly confessed on the phone when he was in BS-mode that she liked Healer. And after that he starting paying attention to her. Yes, granted she looks out for him as a colleague and tends to be caring. But I feel that his attraction to her is borne more out of pity and loneliness and the fact that she's pretty than real love. I don;t know, but romances like that, which is based off so little really turn me off in real life, so it really doesn't appeal to me when it's in a drama. Lastly, I know alot of people rave about the chemistry between Healer/BS and YS. I think there is chemistry but I'm not getting the steamy, romantic sort that people keep fangirling about. I don't know... I just don't see or feel it. It feels more brother-sister/friendly/colleague-like to me than anything more. I also get a feeling that the chemistry is mostly from JCW's side than PMY's side. 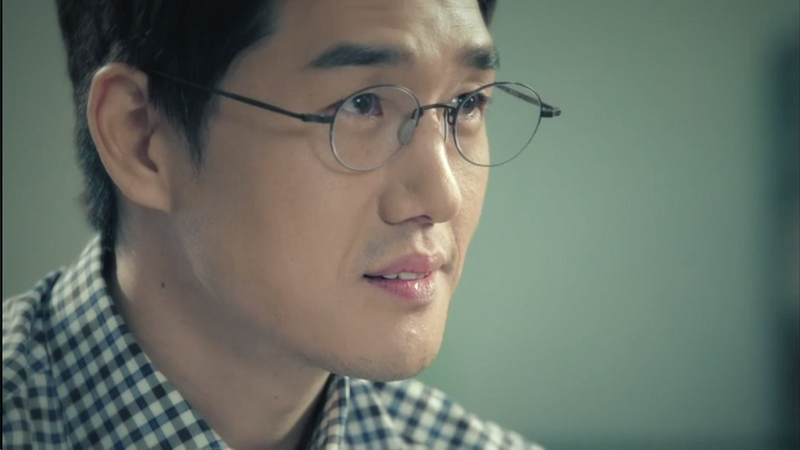 Even in MH's scenes with YS, I feel that Yoo Ji Tae is the one creating all the chemistry. I know I'm in a minority here. First off, thank you so much for reading my blog! I'm so very flattered and happy that you enjoy my posts. I also completely get your frustrations on the fangirling; it's a major reason why I keep this blog up, because I often don't agree with the mainstream view on mania shows such as Healer. I also agree with pretty much everything you wrote about Healer. It's the only live Kdrama I'm watching for now, but I'm definitely not swept up by it. The pacing is definitely off, and most times it's actually quite boring to watch as you mentioned. While I think it's somewhat improved over the earlier episodes, I don't think it warrants even a tenth of the hype it's received. I also agree with you on the portrayals. I found Ji Chang Wook much better in what I saw of Empress Ki; here his performance is stiff and fairly flat. You're spot on with your description of Park Min Young's acting. She's completely typecast herself, and I keep trying to like her but never do, which is majorly disappointing because she gets such good characters. I often wonder how a show would be if an actress I really like such as Moon Chae Won took over the role instead (and I really wish that were the case here, no matter how many people praise her chemistry with JCW). It's a show that's middling on all levels, and I think the Korean viewers have it right in terms of the relative ratings. Thanks again for sharing your thoughts on this, and I hope we can discuss our views on future dramas as well! 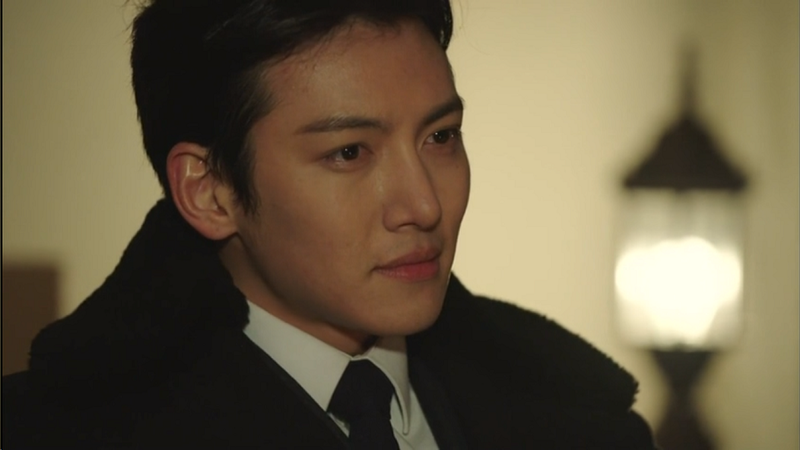 Yup, I'm actually pretty disappointed in JCW's acting here after seeing him in Empress Ki. It's like he suddenly can't emote that convincingly or something. And omg I totally love Moon Chae Won! Now that you've mentioned her, I can totally see her slaying this role and owning it. She's always been one of my fav actresses cause she's just so good in almost any drama I've seen her in. Another actress I really like and I think would do justice to this role too, is Moon Geun Young. I've not always been crazy about all her projects but I really do enjoy most of her acting, plus she already looks young/spunky enough herself to play YS. It's also a major plus that both Moons are people I already like as celebrities, so it would definitely be easier for me to get behind them if either played Young Shin. They don't play the 'I'm so pretty!' card both as a celebrity and in roles they take on. Honestly, though, what do you think of the chemistry between JCW and PMY? I think there is chemistry - but I really don't feel it on the AMAZING levels that some people are describing, so I’m truly puzzled. It was the same for me when I watched Kim Soo Hyun and Jeon Ji Hyun in YFAS (which I didn't finish as well cause I just couldn't get behind the alien/modern world story but JJH is just amazing). Everyone around me was going on about how mindblowing the chemistry was between them and I'm mostly like '??????????????'. I don't deny the chemistry in both cases, but I just don't see it to the level people are and thinking if it's just me. Another case is PSH and LMH in Heirs. People were like awesome chemistry swoon!! and I'm like really? Cause they completely didn't connect with each other and PSH is just a dismal actress, on par with but perhaps slightly better than PMY. The thing about "chemistry", to me, is that it's an extremely basic thing to have in a cast, especially between leads. It's glaringly obvious when there isn't chemistry but that doesn't mean that just cause their characters are interacting well enough on screen means that it's "amazing chemistry". I don't know if I'm making sense though. I also agree on the Korean viewers ratings on this. International fans seem to always over-rate certain dramas (Heirs comes to mind) and think they deserve better ratings, when actually, no. I've heard that Punch - the drama that is leading the ratings - is a good one. It seems dark and complex so I might actually start watching to see where it goes! im sorry but you sound so jaded, complainy and whiny, u should just drop kdramas, gosh. thanks but no thanks . No problem, you are entitled to your views as I am entitled to my opinions as a writer. I enjoy plenty of kdramas as well if you took the time to read some of my other posts (Queen of Reversals being the incredible show that got me started on this blog), but I admit that I'm more critical than the average viewer and am a firm believer in voicing one's true opinion on entertainment. Not all viewers will be fans of a show and maybe they can relate to my view, or be spared their time to enjoy something else. There are plenty of other reviewers for you, but glad you came by anyways!